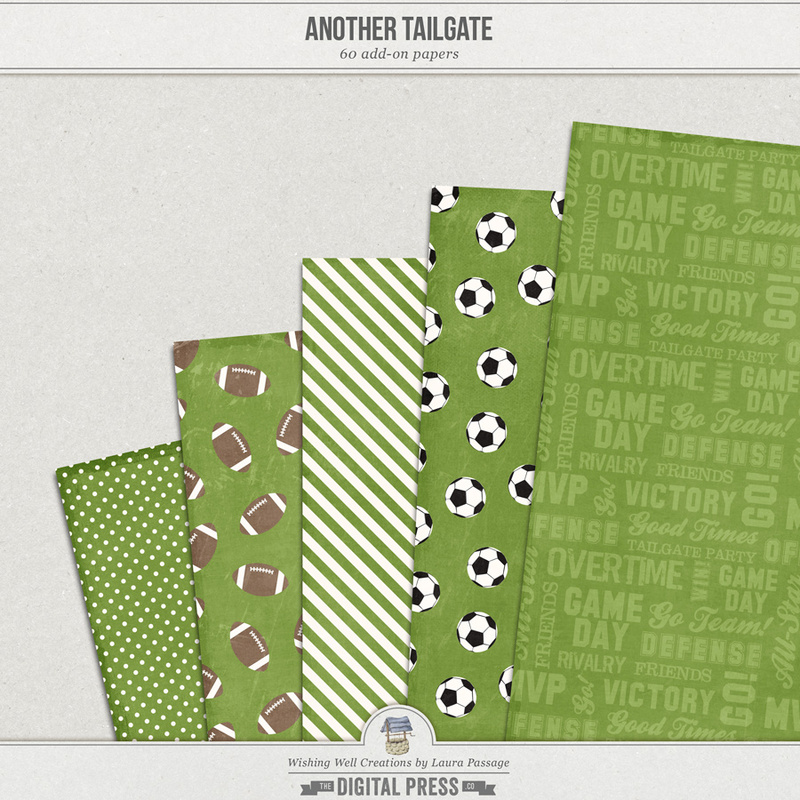 This digital paper pack is an add-on to the Another Tailgate product line, which was inspired by a collection of products I created nearly 5 years ago (called "Tailgate"). That original line is now retired, but due to the fact that I still get requests for a few of the items every so often (the team spirit pennants and alphas, mainly), I brought a couple of those oldies-but-goodies out of the retirement vault this fall -- and used them as the inspiration for this brand-new line (hence the "Another Tailgate" title). 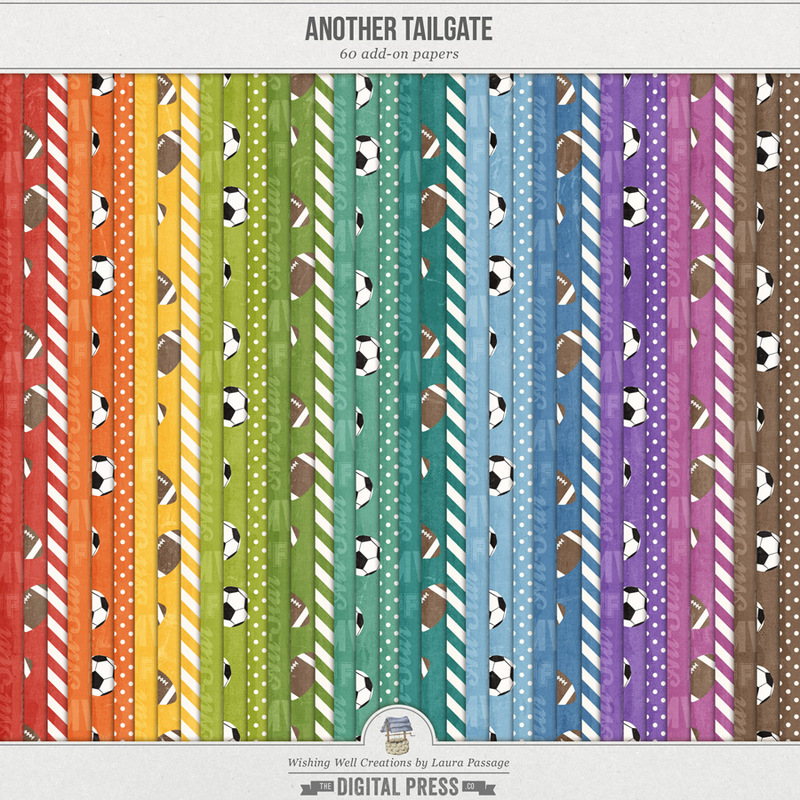 These brand-new papers come in 12 different colors and are perfect for team photos, sports pictures, superbowl party projects (even hybrid decorations!)... you name it. Included in this digital paper pack you will find 60 patterned papers -- 5 patterns in each of 12 different colors (see extra images, below the main image, for more detail). Papers are each 12x12 in size and provided in .JPG format; all files created at 300dpi. No drop shadows. PU/S4H/S4O OK. Please read Wishing Well Creations by Laura Passage's TOU before downloading/using. Thank you!